What Are The Different Competitive Exams After Graduation? POSTED BY Sarang Sharma ON 05-Dec-2018. After 10th board exams, it is the first question in every mind which stream to choose and get prepared for which competitive exams. It is not an easy task to arrive at a decision for these students without any proper guidance. To make the best future, it is essential to sit for competitive exams and pass it out. There are many competitive exams and it is crucial to gain the correct information about each of them. The students should finalize the stream they would like to make a career for and, accordingly, can prepare the competitive exams. There are great opportunities in various government jobs, but many of the students are unaware of it. They don’t have the right guidance and information about which competitive exams to appear for. The top UPSC coaching classes when approached for details, they provide the additional information to any aspirant if interested. Besides, their course details, they can also avail the basic information about other competitive exams as they all form the same base. Let’s us discuss some of the different competitive exams that can be very helpful for students. To achieve a post of manager in banks are a desire of many. It is a respectable and highly paid job. This job is considered for all those aspirants who would like to enjoy a stable government job. To become PO, there are exams that need to clear. • IBPS PO: - This exam is conducted to select the bank Pos for all the public sector banks except SBI. For example, corporation banks, the bank of abroad, etc. • SBI PO: - SBIs conducts exams separately to select Pos for it. Compare to other banks, the salary is higher. • There are other banks that conduct exam for POs vacancy in their branches, but they recommend for year training and the interested and selected candidates need to pay for it. The competitive exam classes in Amravati also provide the educated faculty that can avail the platform under their guidance to the students who would like to prepare for bank exams. A job in bank for any post is considered as good because it is permanent with a good salary, additional facilities, and always counted as respectful. Therefore, candidates are also interested for a clerk job in the banks. The best thing about this post in the banks is that it is not transferable. A person can stay in their hometown as long as they like to. The railway conducts the NTPC exam for all graduate candidates. For this post lakhs of aspirants are filling forms and appearing exams every year. The competitive classes in Amravati provide the platform for the desired and interested candidates who can achieve the related knowledge through classes and prepare them for the exam. The exams are conducted by the union public service commission. This exam is meant to provide jobs to the candidate as a civil servant. It is one of the respected jobs and awarded with several power and responsibilities. The jobs that can be achieved through Union Public Service Commission are IFS (Indian Foreign Service), IAS (Indian Administrative Service), IPS (Indian Police Service), and other jobs. The UPSC coaching in Amravati is one of the best coaching centres that are putting immense effort to provide the platform for the desired aspirants so that they can prepare for their interesting jobs. For the post of RBI assistant job, the Reserve Bank of India conducts the exams. All, the candidates who desire to work in the banking sector would prefer working in RBI. After, the selection in exam one gets a job for entry-level officer position post. 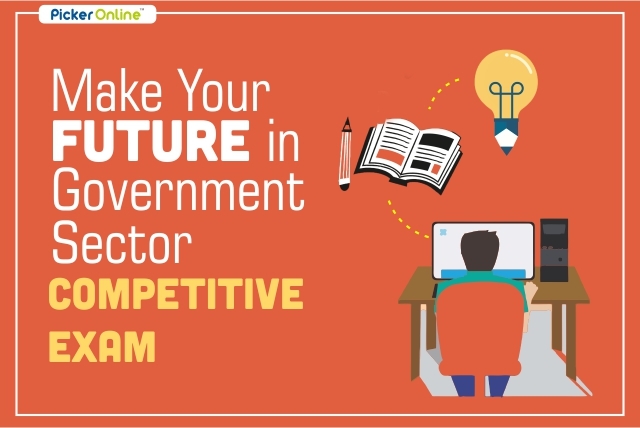 If a candidate is interested and looking for a senior government of India, then they can appear for Staff Selection Commission Combined Graduate Level. It is for the students applying for the SSC exams. They need to understand that this exam would require them to administered works for the civil posts. On clearing the exam, they get the opportunity for the post of examiners, assistant CSS, and income tax inspector.